Goodreads: It's 1995. Things are going great for new Washington, DC intern Trent Norris. He's out on his own, he's found a fabulous woman to date, and if he doesn't love his internship, he doesn't hate it either. Life is nice. But things can change in a moment in DC, and Trent finds himself the prime suspect in two murders and a slew of other crimes. Overnight he becomes the most wanted man in America. Trent has to find a way -- any way -- out. He finds a way to hole up at The Watergate on a senator's dime and enlists a comely call girl as his unwitting ally. But with the media eating him alive, he knows he doesn't have long before they catch up with him. 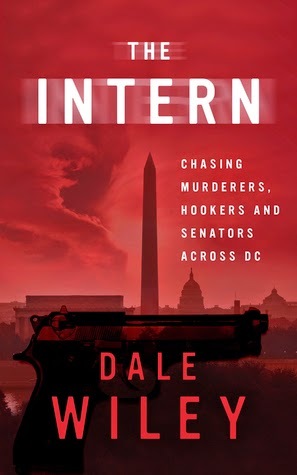 Can The Intern find his way out of this mess? Kritters Thoughts: A Washington, DC adventure that takes you all around the DMV metro area and in and out of government buildings. Trent is an intern at the National Endowment of Arts and he stumbles into something and in an instance things spiral out of control. Trent was a great character. He was the most unlikely to become a suspect, but I loved that he came out of nowhere and somehow the clues could have pointed to him as a bonafide suspect. There were just a few moments where the writing felt a little elementary. It felt very and then I went here and then I went there and I would have loved a few more descriptive words. It didn't take away from the flow of the book, but I wish it had a little more at moments. As a resident of DC, this book was probably even more enjoyable because I could envision every step of Trent's adventure. I read this in two sittings and it was incredibly hard to put it down as this book had non stop adventure from the first page to the last! Thanks so much for sharing your thoughts on this political thriller with us. Sounds like an exciting read! Sound exciting and I love reading books that are set in a place that I'm familiar with!